In mid-April, the US government imposed tough sanctions against ZTE, punishing it thus for violating the sanctions regime against Iran and North Korea. Earlier, the company was sentenced to a fine of $ 892 million for the same violations , in addition, she was ordered to punish employees involved in them. However, US officials discovered a year later that the company paid a fine, but did not punish employees, and therefore introduced more stringent measures. They included the inability to use American technology and the ban on the sale of anything in the US - for a telecommunications company such a set of restrictions leaves no room for further activity. As a result, the company stopped selling smartphones and even began to think about selling a mobile business. 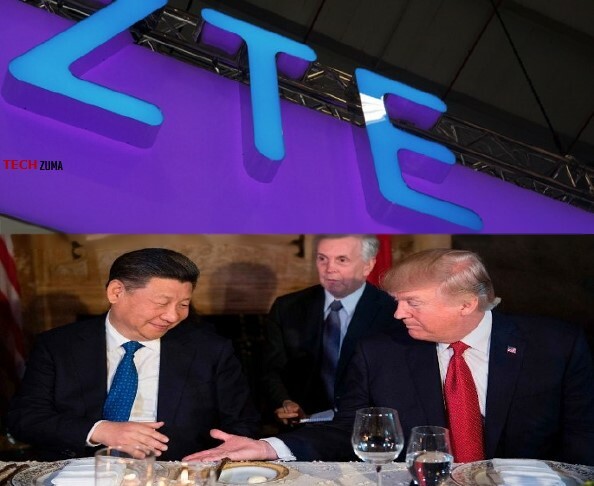 However, for ZTE, the US president, Donald Trump, who had not previously complied with Chinese companies, was suddenly intervened, and the governments of the United States and China managed to start productive negotiations. As a result, as reported by The Wall Street Journal, American officials now call the ZTE situation "an enforcement problem", and restrictions will be lifted or relaxed when ZTE fulfills a number of conditions. Details of the deal are still being worked through, but it is expected that the Chinese company will be additionally fined, and serious changes will occur in its management. In addition, the Chinese side proposed to reduce duties on products of American agriculture to facilitate the fate of ZTE.